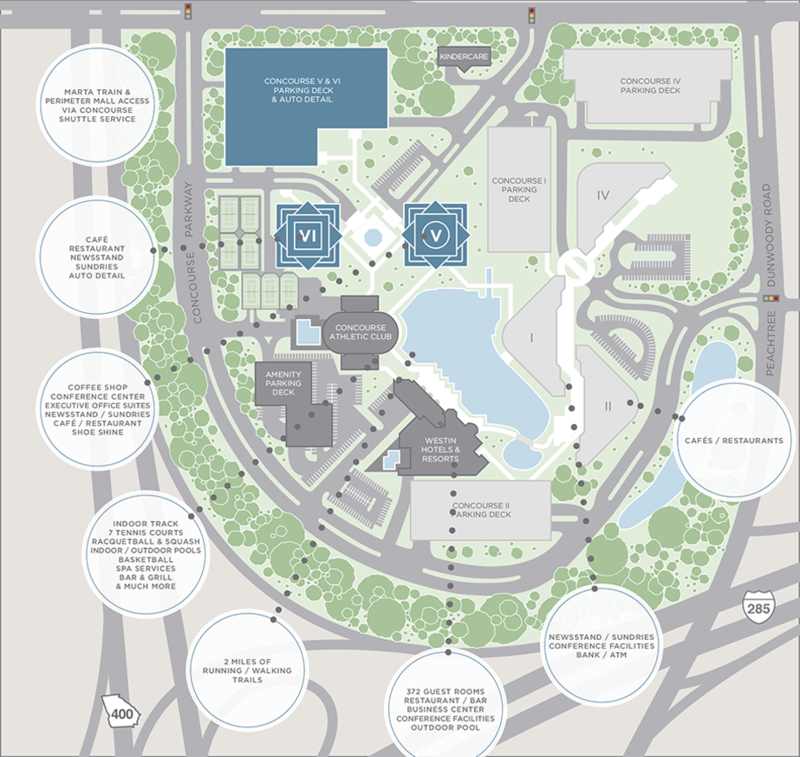 With The Westin Hotel, Concourse Athletic Club and Kindercare, Concourse offers an abundance of on-site tenant amenities. From restaurants, cafés and sundries to auto detail and dry cleaning, Concourse ensures that tenants never have to leave work in order to do business. 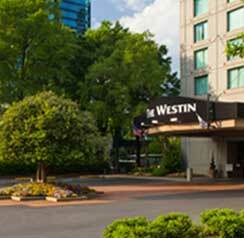 Whether you’re hosting a company conference or have clients in town on business, The Westin Atlanta Perimeter North offers 372 spacious guest rooms and suites as well as over 20,000 square feet of meeting and banquet facilities, all conveniently located within Concourse. The hotel is currently undergoing over $14 million dollars in renovations to the property that will provide more modern amenities and conveniences, including a fantastic new lakefront dining option available to guests and tenants. At 85,000 square-feet, Concourse Athletic Club offers an abundance of fitness and wellness programs for all ages and activity levels. With two Olympic sized swimming pools, 7 tennis courts and indoor basketball and racquetball courts, there are plenty of options and class schedules available for members to stay active and in shape. 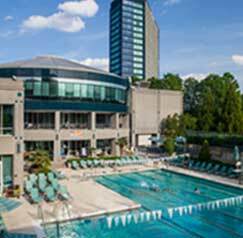 Or if you are simply looking to unwind, the Concourse Athletic Club also offers plenty of relaxing on-site amenities, including a salon, spa, sauna, steam rooms and bar and grill. 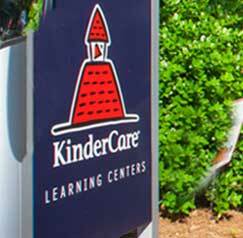 Designed to be a home away from home, KinderCare Learning Centers provide a place for children to learn, laugh, grow and have fun. Each childcare center offers a mix of large spaces for group learning and several smaller age-specific classrooms for age-appropriate learning so your child gains social skills as they develop academically. With Kindercare as part of the corporate campus, young profressionals at Concourse can rest assured that their family is being taken care of only steps away from their office door.